Nicola Saker gives campsite cuisine a fresh new flavour with these mouth-watering recipes, some of which are her own creations and others collected from close friends and family. Along with a host of delicious new recipes - many involving New Zealand's superb seafood bounty - her al-fresco menu includes a number of old favourites, from chilli con carne to potato salad, that she has expertly adapted fro the 'blue sky kitchen' of the barbie and open campfire. 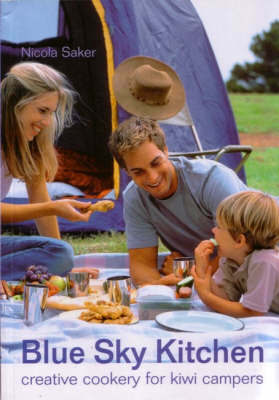 In addition to the recipes, she offers practical advice on food hygiene and storage, campfire tips and safety, cooking kit and much more besides.